Critics have mellowed with time and I have read reviews where the writer has admitted that The Mix is their first Kraftwerk album. It even merited a night of its own at the recent Tate Modern series of concerts. After all, Kraftwerk have always claimed it is part of their regular canon. Inevitably, soon after its release I started hoovering up the supporting 12″ remixes. 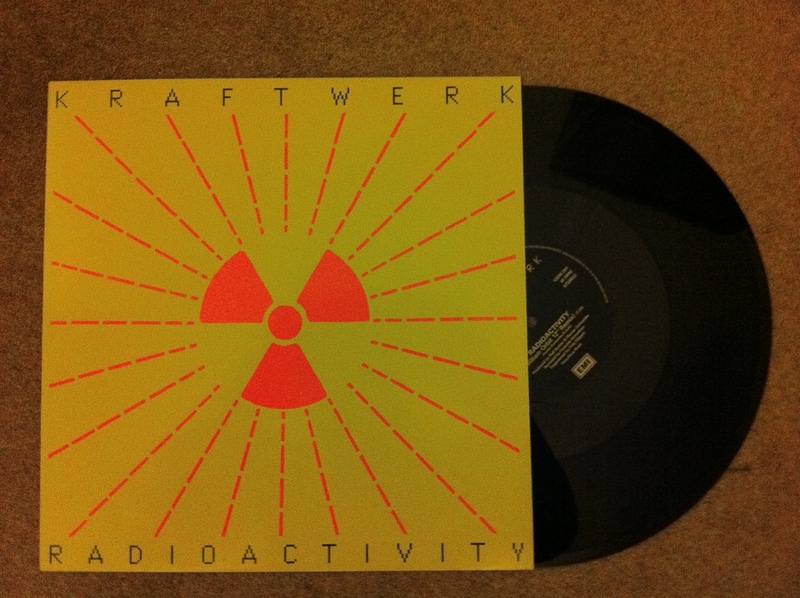 My favourite is this one of Radioactivity, mixed by William Orbit. At the time Orbit was very much in demand as a remixer (he did a storming version of S-Express’ Hey Music Lover – but more of that another time), while also briefly performing fairly middle of the road house music under the Bassomatic moniker (remember Fascinating Rhythm?). Work with Madonna, U2, Blur, etc was to follow. I never considered at the time how odd it was to have a remix of a remix of an electronic track from the mid 1970’s but both Kraftwerk and Orbit succeed magnificently. Kraftwerk picks up the original track’s relatively sedate pace in their new version and Francois Kevorkian gives it an almost glam-stomp feel in his remix, but Orbit gives the tune a real urgency without falling into the trap many remixers did at the time of completely gutting the source material (please step forward Aphex Twin and Andrew Weatherall). The stereo staging of the remix was also given some real thought. This one flies all round the room, especially the twiddly insect type noises at the start and end. Stand in front of a decent set of speaker and listen to this loud for maximum effect. It would be another 9 years before Kraftwerk were to release some proper new material (the single to support the Hanover Expo 2000), followed a full album (Tour De France Soundtracks) in 2003. As electronic music continues to mature, with bands like Orbital becoming the elder statesmen, Kraftwerk have taken on an almost mythical status, evidenced by the clamour for Tate Modern tickets. I wonder what the Orbit remix would have sounded like in the Turbine Hall? This entry was posted in 1990's, Art of the 12" Single and tagged autobahn, bassomatic, Expo 2000, kling klang, kraftwerk, Music, radioactivity, remix, The Mix, the model, william orbit. Bookmark the permalink.